Line magnetic LM-219IA is an integrated Amplifier, it is a Power Amplifier too. (there is a group Power amp input). 2. Two high quality special technology and high quality and wide frequency sound EI type single end output transformers. 3. Using 2 high-power EI power transformers. 4. 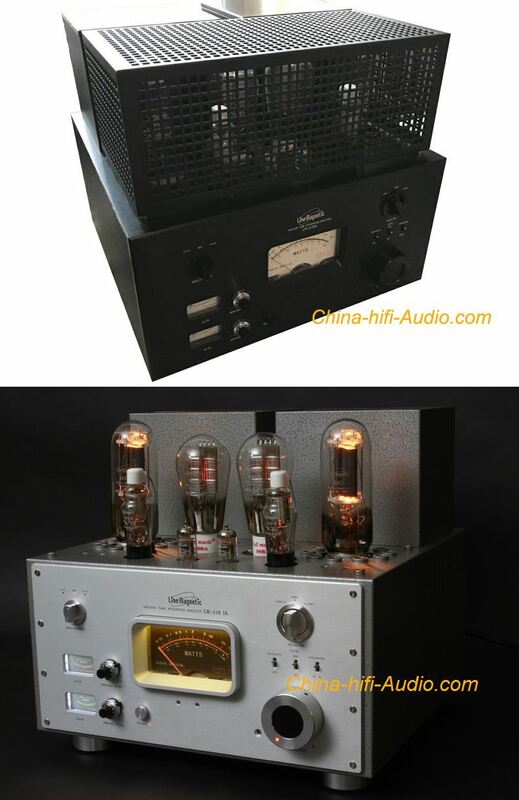 The pre-amplifier part is used of vacuum tubes 12AX7*2 and the company's design and development 310A *2. 5. The power amplifier part using two 845 vacuum tubes to make a class a single-ended power amplification. 6. There is a driver tubes and power tubes current trimming knob with current display meter. 8. When it is turned on, high voltage delay and mute delay function (about 30 seconds). 10. convenient installation plug type vacuum tube cage cover. 12. There is a plate current fine- tuning function for driver stage tube 300B and power amplification tube 845, different working current show different tone quality, play sound changing from gentle to full dynamic. 13. The sound is soft, pure and smooth, and it is suitable to appreciate all kinds of music.